Do you LOVE the little plastic 'break-apart' Easter eggs that are around this time of year? 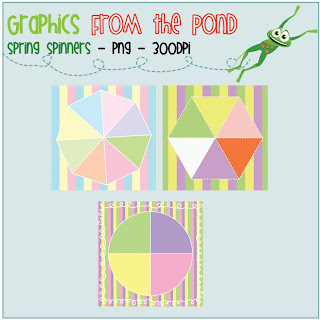 For my Australian blog friends - you can buy the ones I did at The Reject Shop for just a tiny $2! If you have not seen these eggs, they break in half, so that you can fill them up with Easter treats! 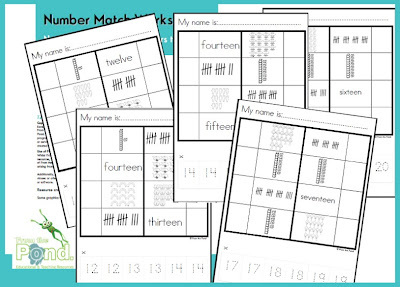 Use them in your classroom math and literacy centers, but putting content cards in them that can be sorted and matched. 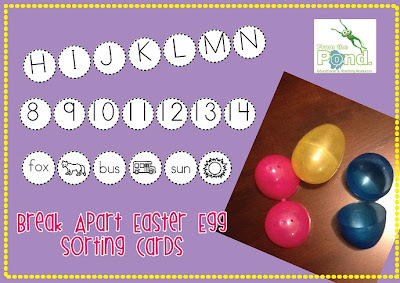 Put cards in each egg, and then pop all the eggs in a lovely Easter basket, for your students to select from. 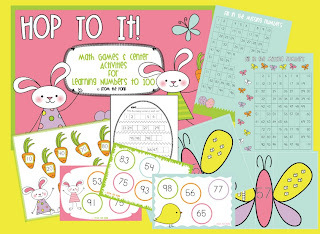 The file I have created includes some basic number and letter cards, and some cvc word cards. 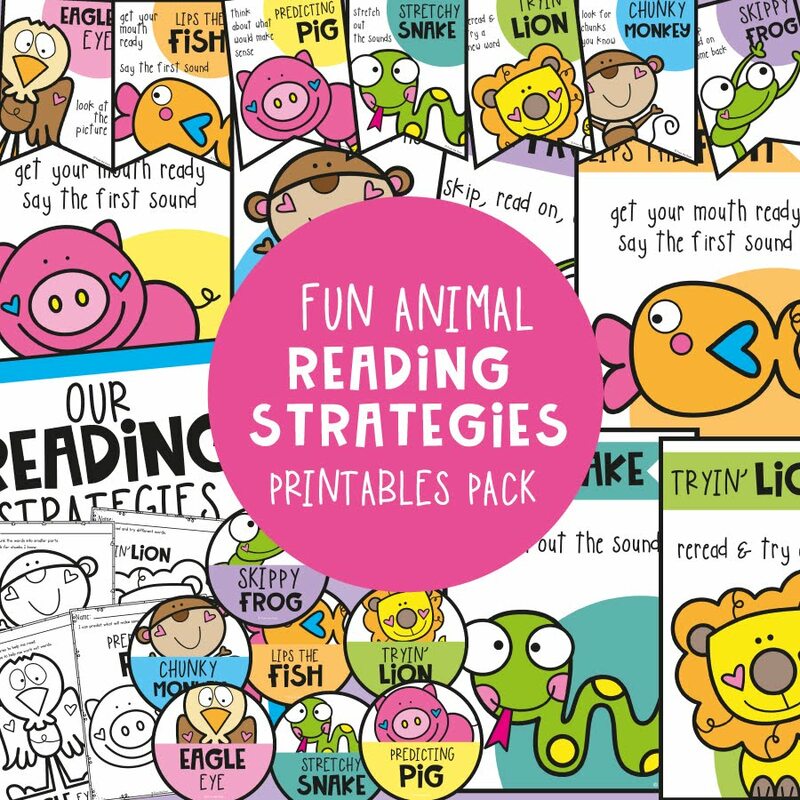 I have included a worksheet for students to record their findings and also a blank set of cards for you to create some content-appropriate cards for your particular class. 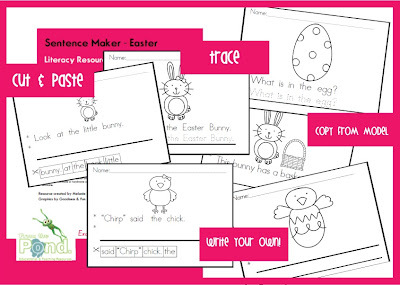 I have had some lovely requests to make Easter versions of our best selling writing resources on TeacherspayTeachers. So while my darling little newborn has been sleeping, I have been creating! I am very lucky so far - he has been sleeping and feeding to a routine we started with him the day we brought him home from hospital. I started it with our daughter when she was around 4 montsh old, but we thought we would give it a try early on with our newborn. He has taken to it like a duck to water! It helps me because I know what he will be doing at different times of the day. 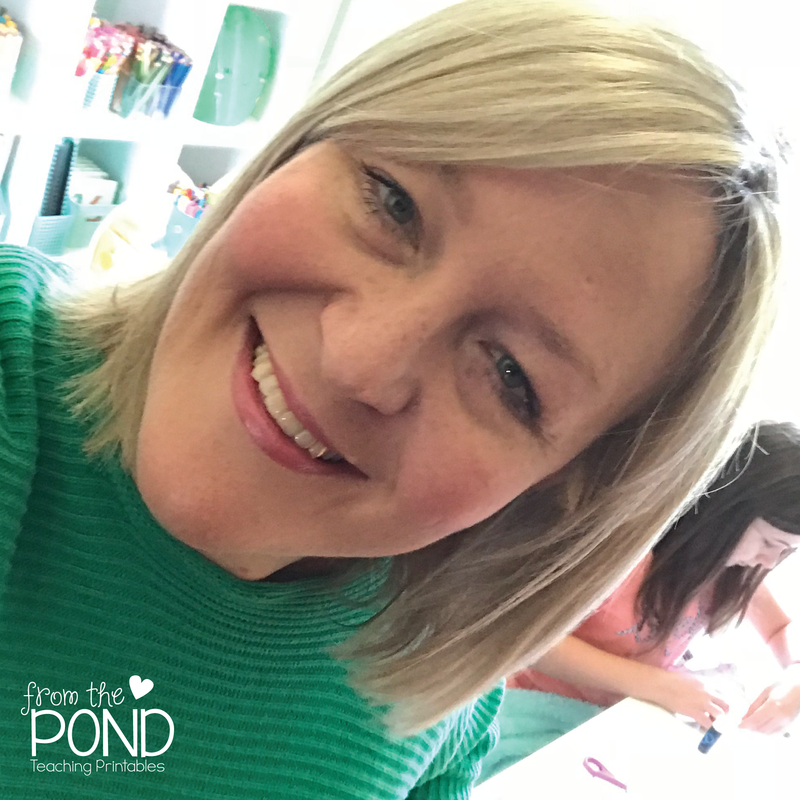 That means I get a little bit of time each day to do other things I love - like designing, creating, drawing and blogging! 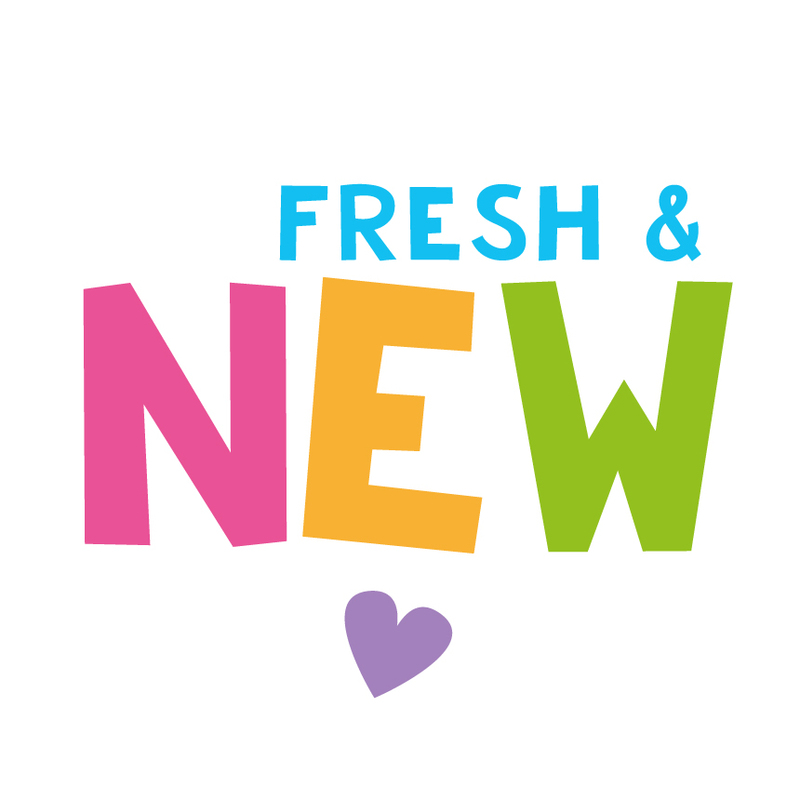 Thank you to everyone that has emailed me or messaged me through TpT with ideas for graphics - I am getting through all the requests gradually. 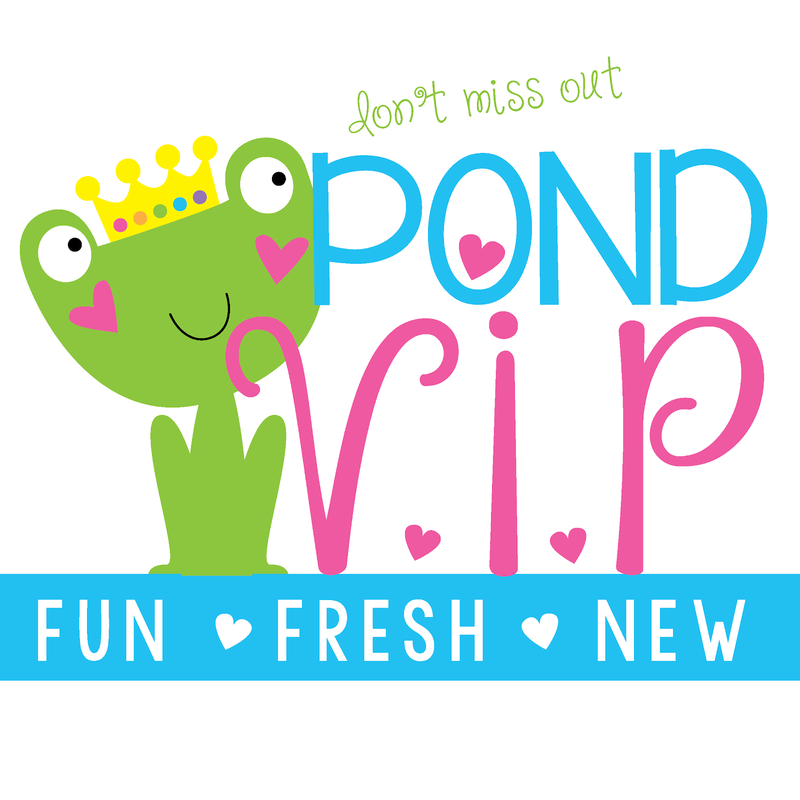 I have created this Fabulous Friday Frog Spot Freebie for you! 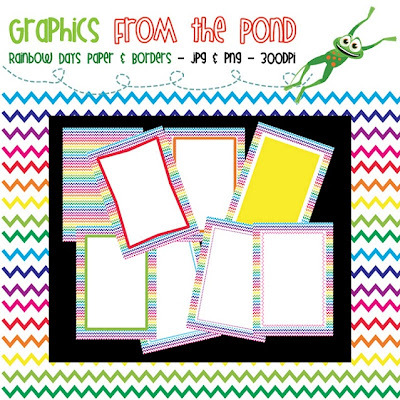 I have been experimenting with different effects in my graphics programs and created this very colourful paper and borders set out of my trials. 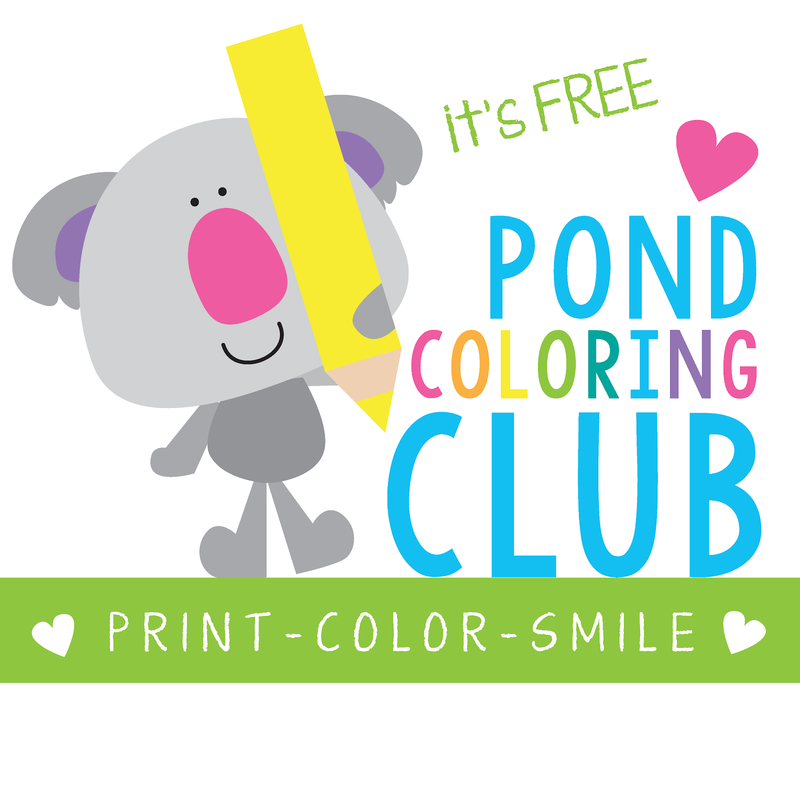 I found these 5 other great FREEBIES on TpT today, for P-K, you may like to check them out! 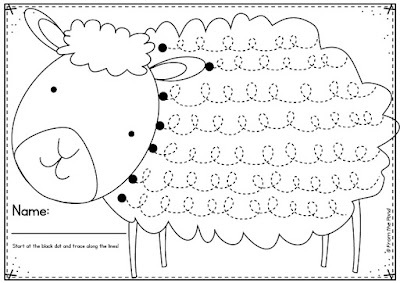 Click on one of the above pictures to download a FREE copy of these Spring Lamb Handwriting worksheets. 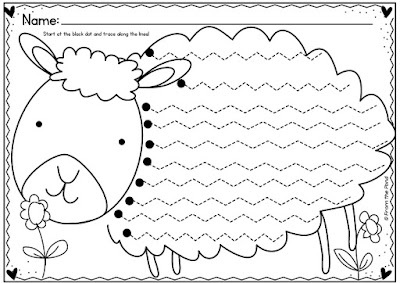 Your little ones will enjoy tracing from left to right along the pattern lines to help build their handwriting skills. 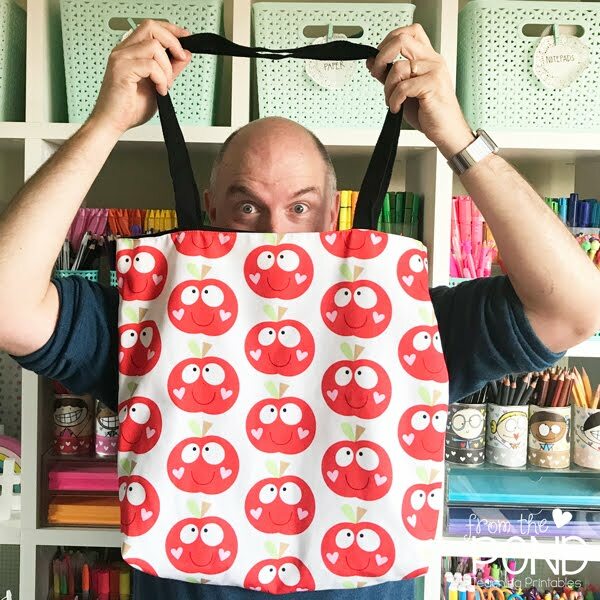 If you are looking for more fun pre-writing and fine motor tracing activities to complete with your little ones, head over to my TpT store to find my "Big Shape Tracing" packets. 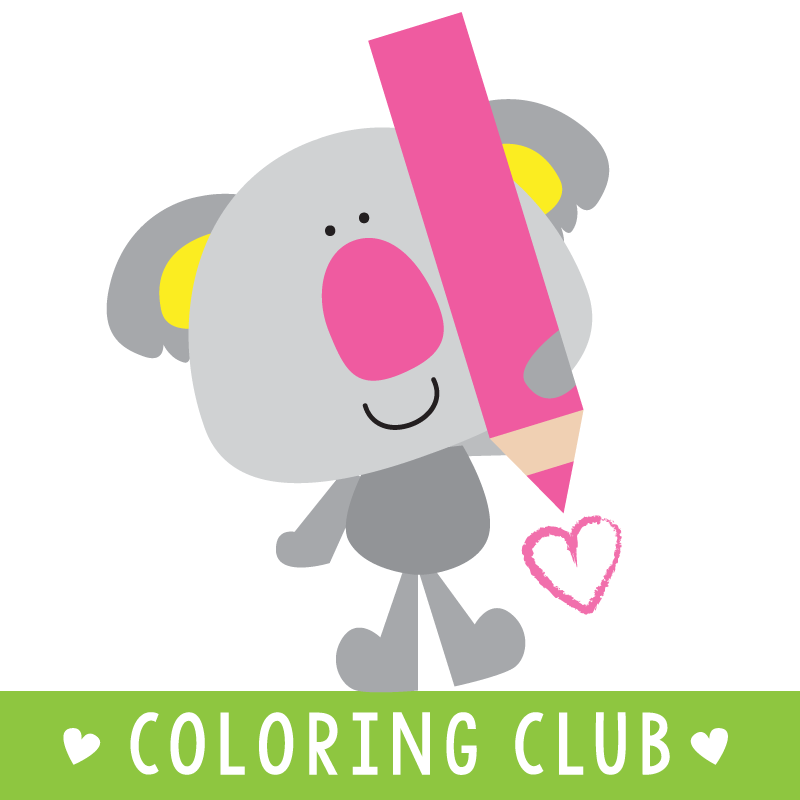 They will help your little learners master pencil control and handwriting movements. Our new baby boy Sam arrived early! We are so very much in love with him and he is taking up much of our time at the moment. 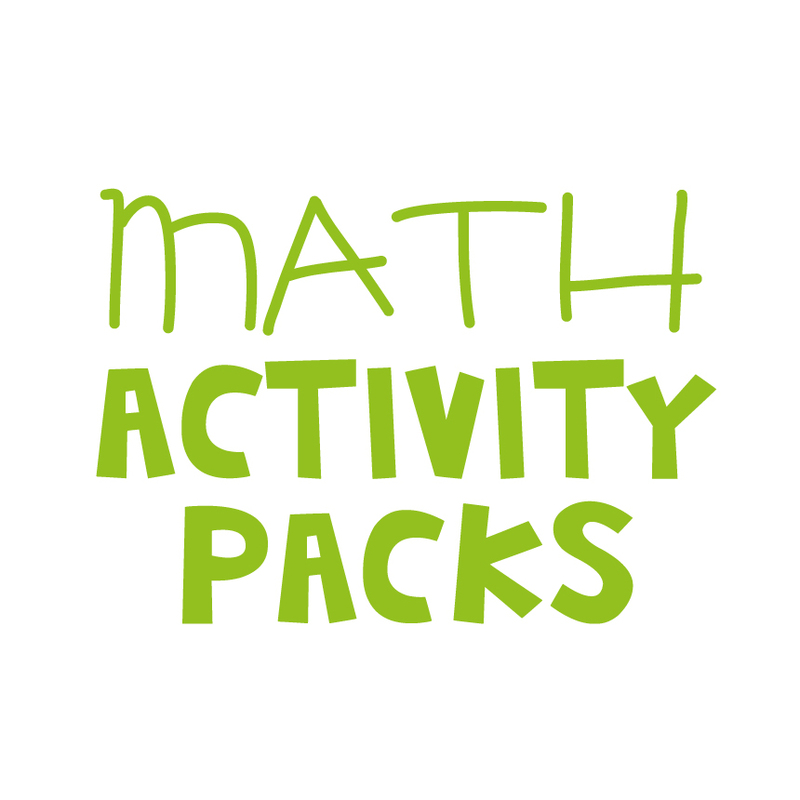 I have managed to finish a packet of printable activities for numbers up to 100. 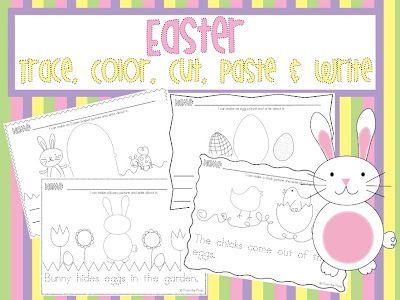 It has an Easter theme and will be lots of fun for your little ones. 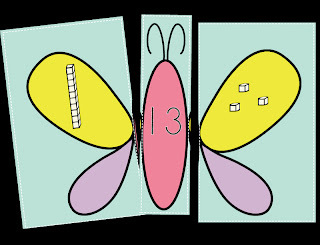 One of my favourite included activities, is the Butterfly Puzzles, your students will enjoy finding matching tens and ones combinations to make the 2 digit numbers. Have a great day, I hope to be blogging again very soon! 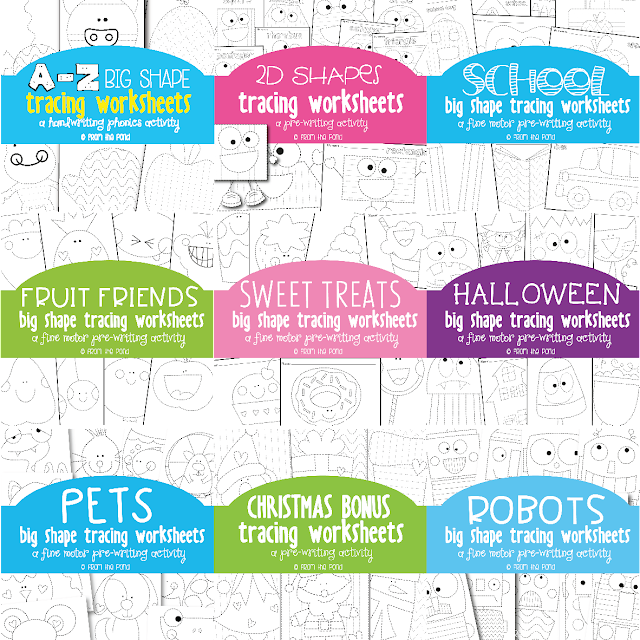 What an amazing success the TeacherspayTeachers Leap Day Sale was! I scored some bargains that have been on my wishlist for ages! 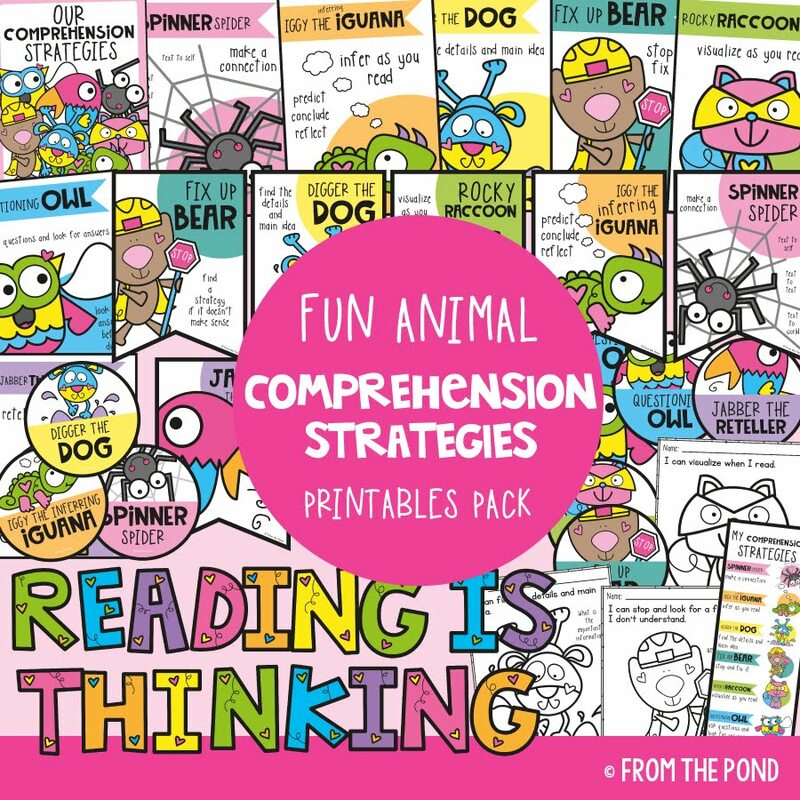 I cannot wait to get back to work next year to use them!! 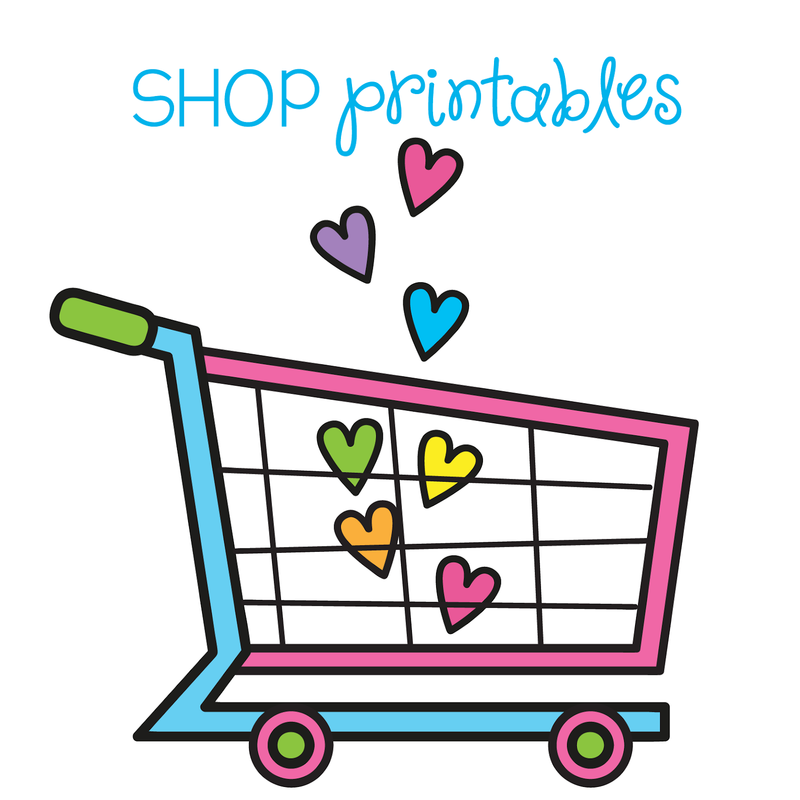 A HUGE thank you to everyone that purchased something from either our teaching resources store or our graphics store. 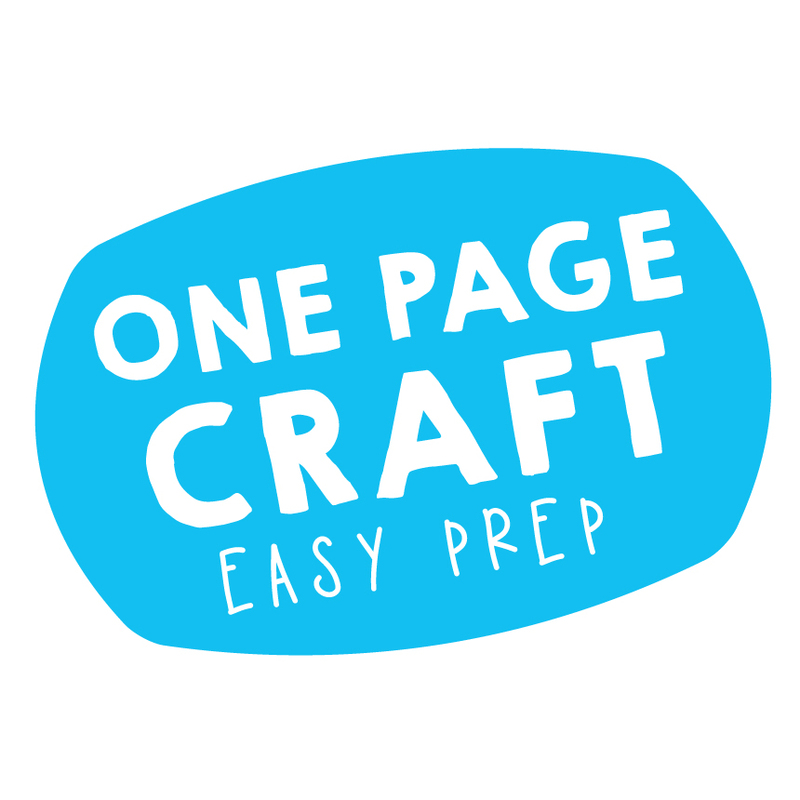 We try to keep our resources as affordable as possible for our buyers, aiming to offset the cost of running our little business and website. Thank you once again, each little purchase that was made has helped in a big way! 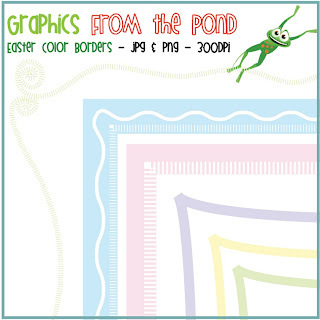 I have just listed this set of "Easter Colour Borders" - the colours used match the ones I have used in our other Easter themed graphics - so if you are looking for a snazzy border to go on your next Easter themed teaching resource, you may like one of these. I have kept them quite simple, as the eggs I made a few days ago, are quite decorative. A plain border will look great with them I think! 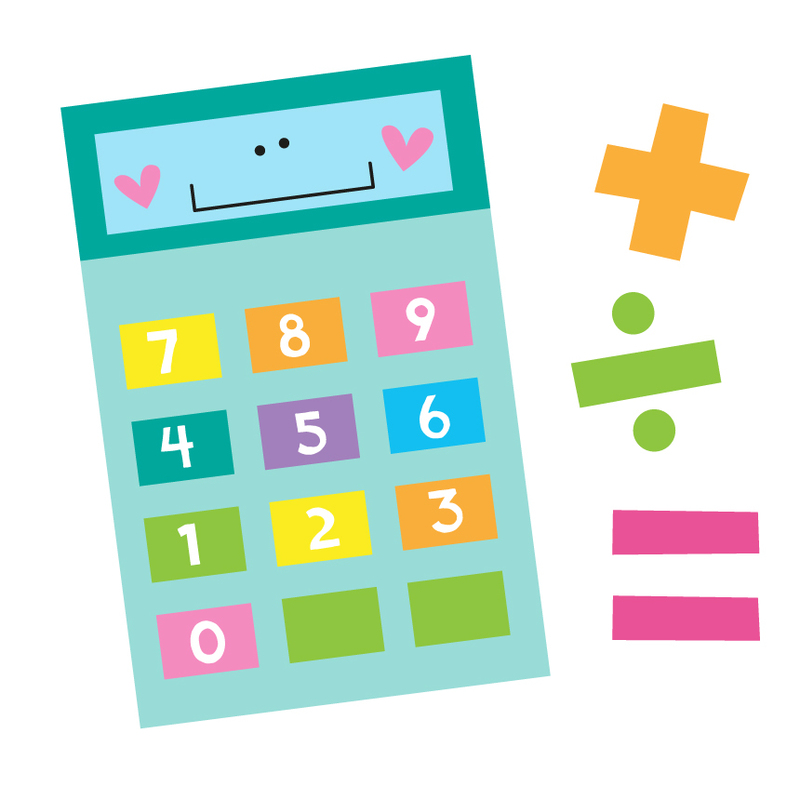 Thank you also to the wonderful people that have left me delightfully kind and thoughtful comments and feedback on TpT. In the uncertain world of bringing a new baby into the world, one thing is now certain - I will have another March baby! Hope you had a great Leap Day!